Being part of a new development in itself fosters a sense of community and pride. Going that step further, and investing in creating communities that people want to live in, has a wealth of benefits for both residents and developers, from improved quality of life and levels of safety and security to better brand engagement. At Classic Folios, we are encouraged by the number of developers putting communities at the centre of what they aim to achieve, helping homebuyers view new developments as long term homes. At Classic Folios we share this ethos. We deliver content to new homebuyers that engages them not only with their new home but also with their local area, way beyond their completion date. Allowing developers to include information on history and heritage, local green space, community groups and local amenities supports the development of sustainable neighbourhoods and gives new homeowners a strong sense of pride and identity. David Graydon, Managing Director at Classic Folios said “We believe that developers that buy into creating communities will foster long term brand benefits through the delivery of high quality homes and high quality lifestyles”. Are you looking to improve your customer experience? We’ve had a look at how easy it is to do and the impact it can have on your business. National apprenticeship week runs from the 4th March through to the 8th March. We are excited to announce that we have launched our new client referral scheme here at Classic Folios. Please join us in congratulating Ellis on his promotion! What Will Happen to the Housing Market in the First Quarter of 2019? We talk to Gordon Piper at Hazeley Homes about how they deliver exceptional customer care using a digital handover. Deanfield Homes, a new developer that is active in Oxfordshire, Buckinghamshire and Hertfordshire, has joined up with Classic Folios. We are very excited to welcome Wates Residential to the Classic Folios family. Our editorial team took a trip to the BRE (Building Research Establishment) Innovation Park in Watford for a first-hand look at some ingenious show homes. Classic Folios is thrilled to announce Chris Pickard as the new Head of Account Management. Octagon Homes worked with Classic Folios to create fully responsive property tours that feel as real as being in a new home. Proptech experts are advising the housing industry to become more digitally savvy to keep up with the demand of consumers. which is why we've created Hoozzi. Classic Folios would like to wish a warm thanks and Merry Christmas to their clients as the year nears its end. Hoozzi Area Guide is soon to launch, providing users with local information about their community. Hoozzi Services lauches on 27th November 2017. Offering a range of services to help people move, manage and enjoy their home. Classic Folios would like to wish huge congratulations to the clients who received an award at this year’s Housebuilder Awards. A small reminder about Classic Folios' Christmas delivery dates. We are thrilled to announce that Classic Folios won the Best Industry Supplier prize at the Regional Property and Construction awards 2017. Weston Homes has Partnered With Classic Folios for 16 Years to Achieve Customer Service and Satisfaction Targets. Classic Folios to exhibit at RESI Conference at Celtic Manor, 13th-15th September. CALA Increase Brand Awareness and Customer Satisfaction by Consolidating Handover Through Classic Folios. One Portal. Lots of Possibilities. New and improved features to online portal, Hoozzi. We're thrilled to present the next generation of property browsing. Ibex Homes now provide their buyers with Android tablets and Hoozzi. With over 700,000 people needed to fill jobs, more women are needed in the construction industry. Are Your Buyers in the Know About their New Build Warranties? The 2017 Homeowner Survey concluded that many homeowners still feel in the dark about their warranties. Celebrating 16 years of working with Weston Homes. Classic Folios launch brand new online portal. Housing professionals are encouraging politicians to take bolder steps to hit housing target and to beat the property shortage crisis in the UK. Classic Folios wear pyjamas to work and bake cakes for Red Nose Day! Building on the success of its digital new home handover solution, Classic Folios is proud to launch an advanced Android tablet to its extensive product range. Classic Folios is delighted to annouce the launch of its new branding and website. 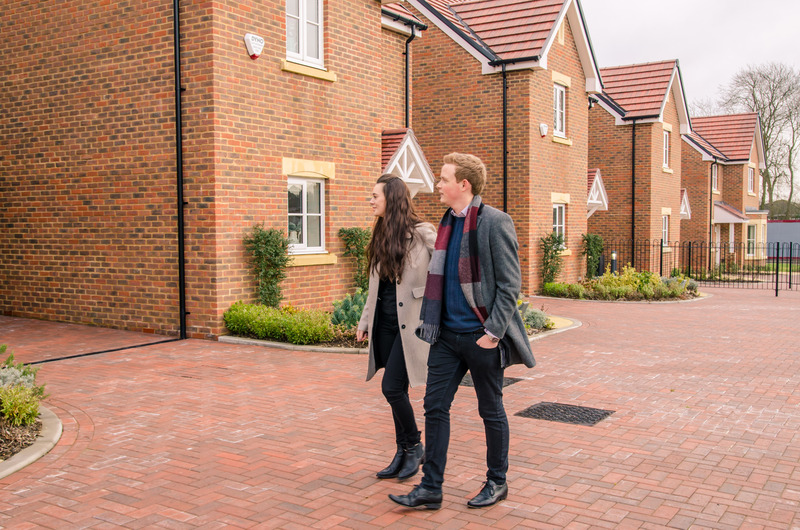 Classic Folios' Editorial Team jumped at the opportunity to visit HAB Housing's Lovedon Fields development to ever expand their industry knowledge. We are proud to work with over 250 of the UK’s property developers, and are always pleased to celebrate the high standards of the industry. With ever growing fears around the housing crisis, it’s come as no shock that ministers have approved the build of 14 new garden villages. Classic Folios would like to wish huge congratulations to all clients that received prizes at the WhatHouse? Awards on 18th November 2016. Classic Folios is pleased to announce the appointment of Fiona Hall as new Sales Manager. Classic Folios was delighted to create a bespoke launch brochure for The Taper Building. 2016 has been a great year for those at Classic Folios. Big deals have been made, new products are in the pipeline, and now it celebrates its 20th anniversary.